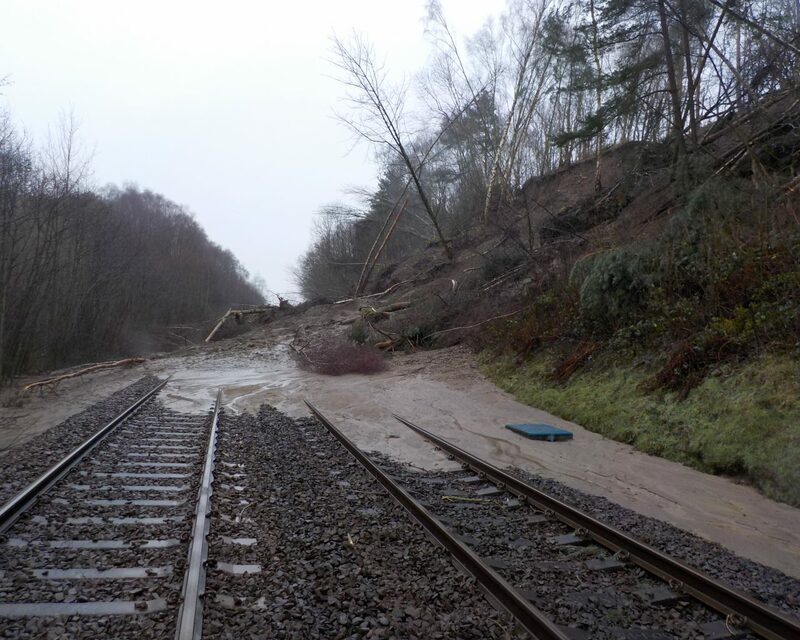 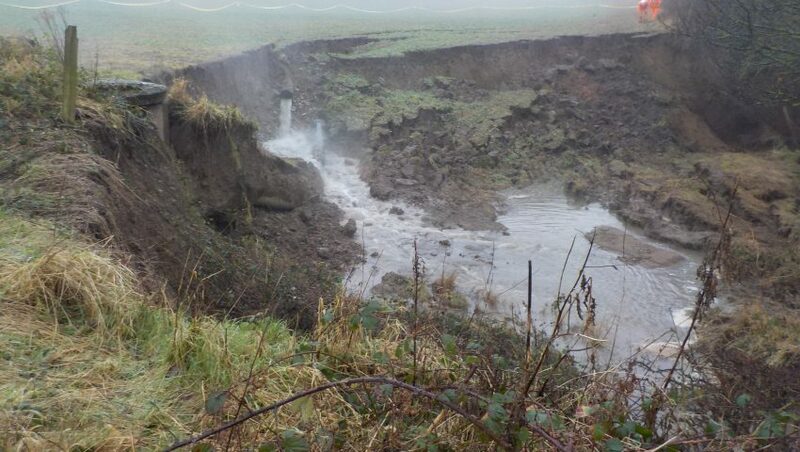 The 25 m deep cutting slope at Farnley Haugh suffered a significant failure on 7 January 2016 resulting in the closure of the Newcastle to Carlisle Line, between Hexham and Prudhoe. 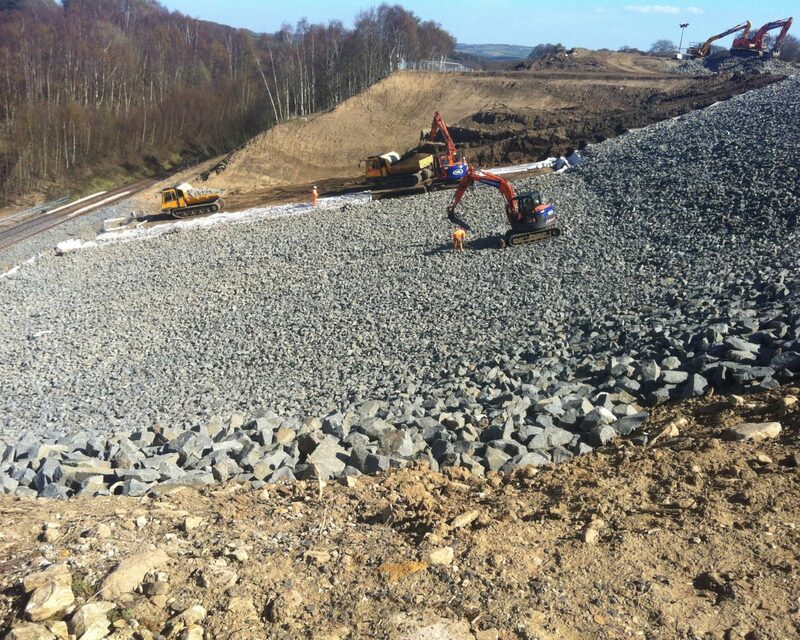 Over 70,000 tonnes of slip material would end up having to be removed from the cutting to stabilise the slope. 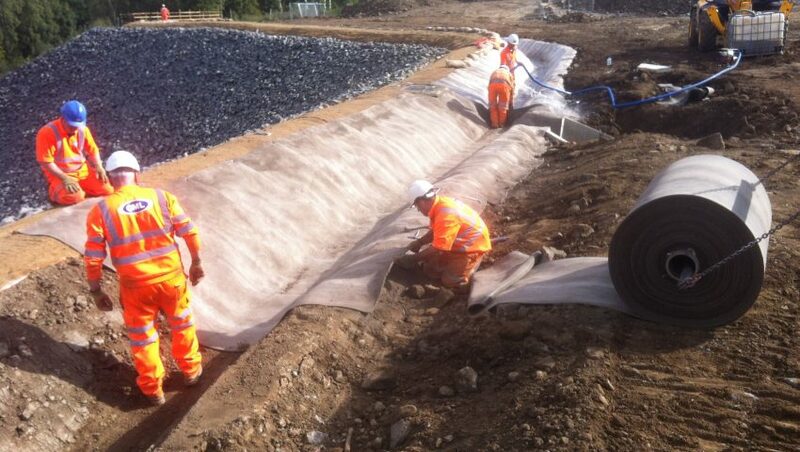 each with a filter drain. 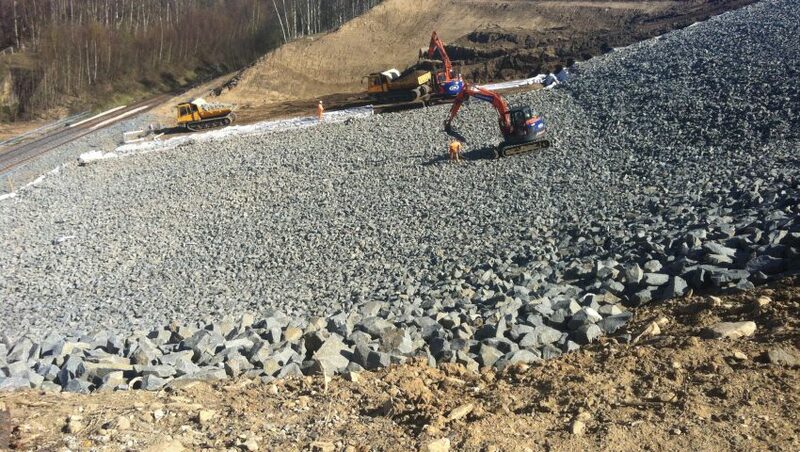 The ground conditions at the site comprise Glacial Sands and Gravels, underlain by the Carboniferous Stainmore Formation (Sandstones, Siltstones and Limestones). 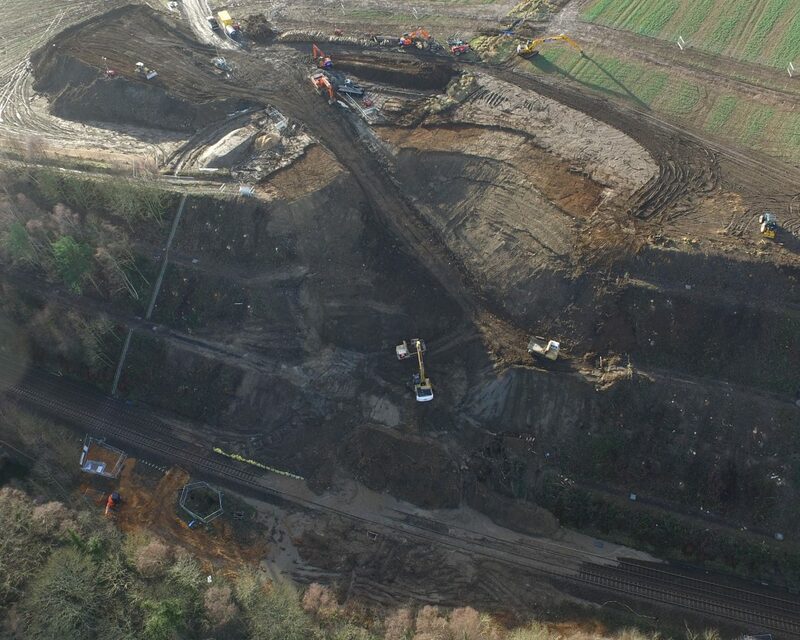 Above the cutting is a 2 m wide ditch, which discharges via a headwall and piped drainage system installed on the slope and continues beneath the railway into the River Tyne. 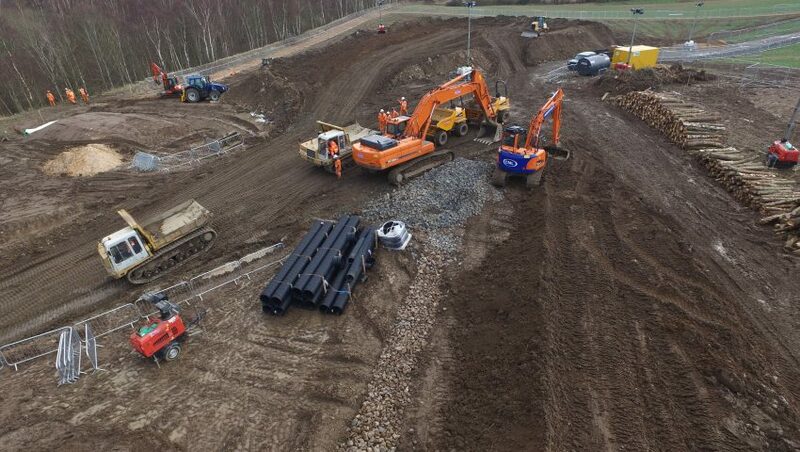 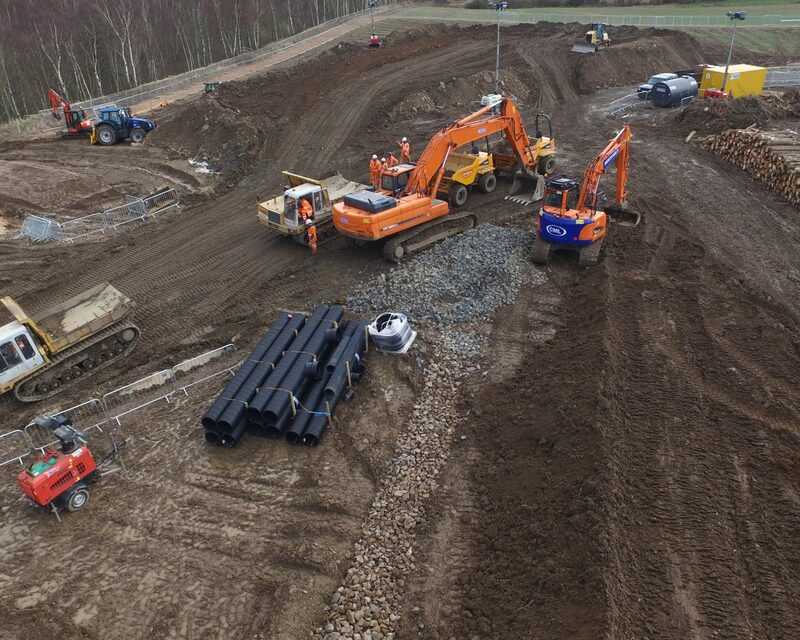 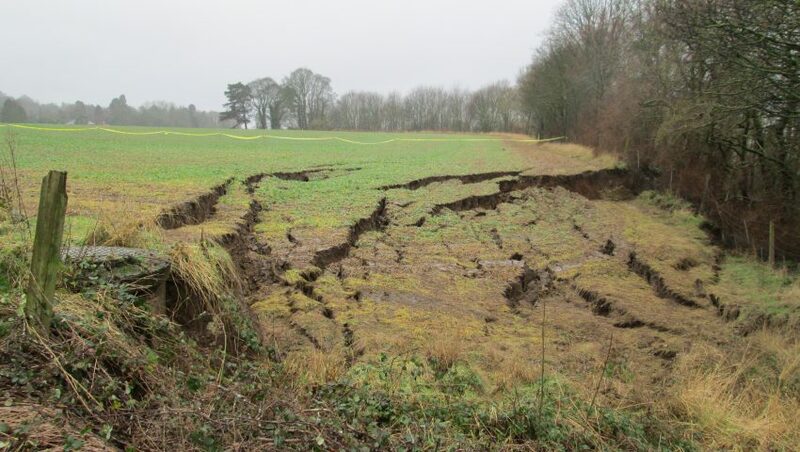 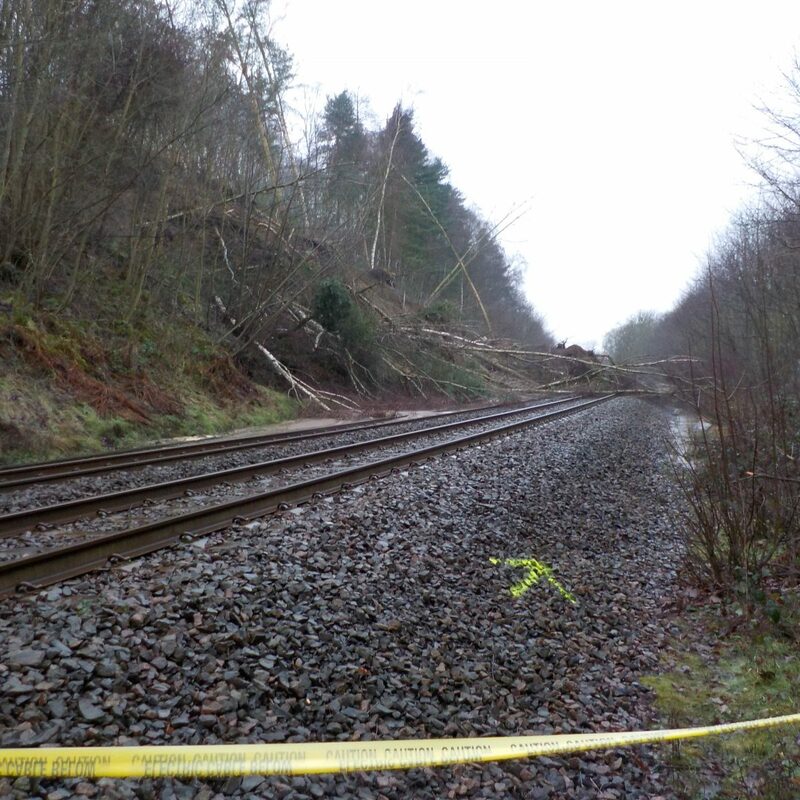 Network Rail Geotechnical Engineers and CML attended site on 7 January within a few hours of the incident being reported in order to start understanding the scale of the slip and planning the recovery. 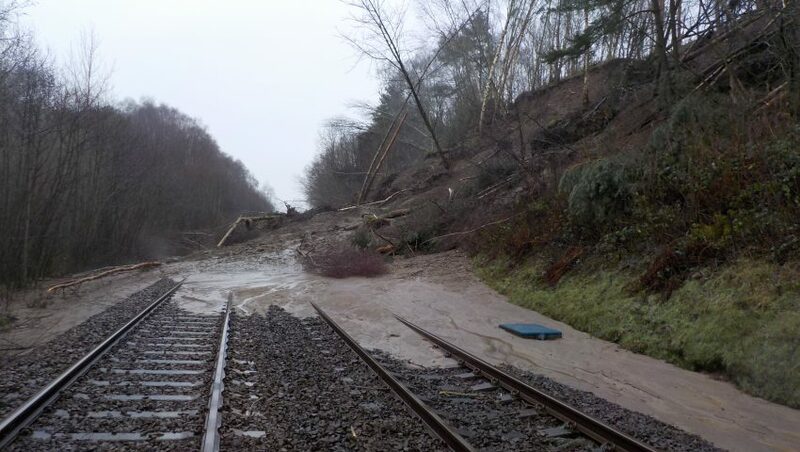 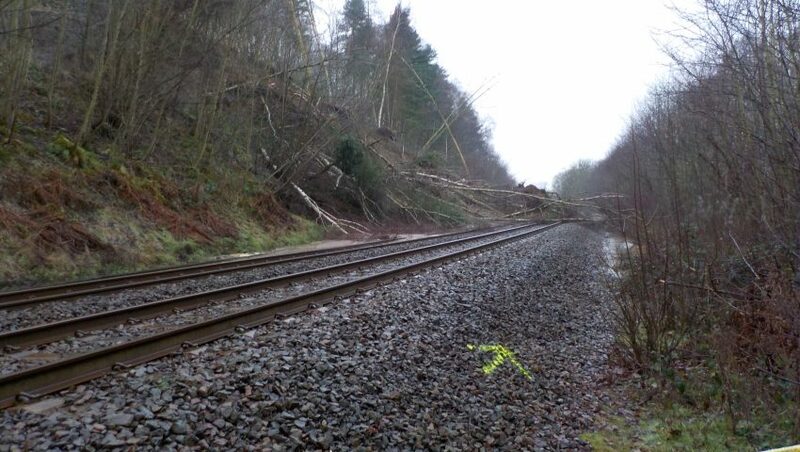 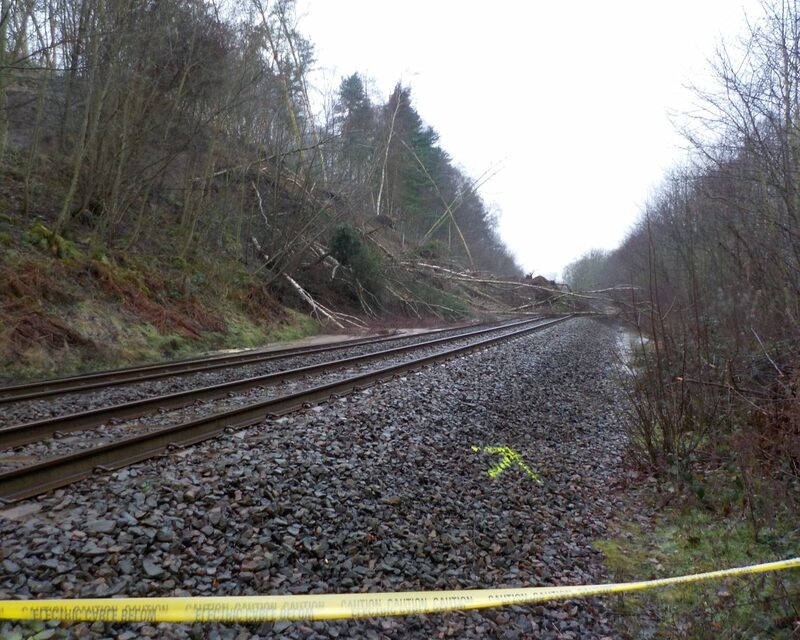 At that stage it was evident that there was cracking in the field above the slip with fallen trees in the upper and middle parts of the slope and debris on the railway line including trees and wet sandy material. 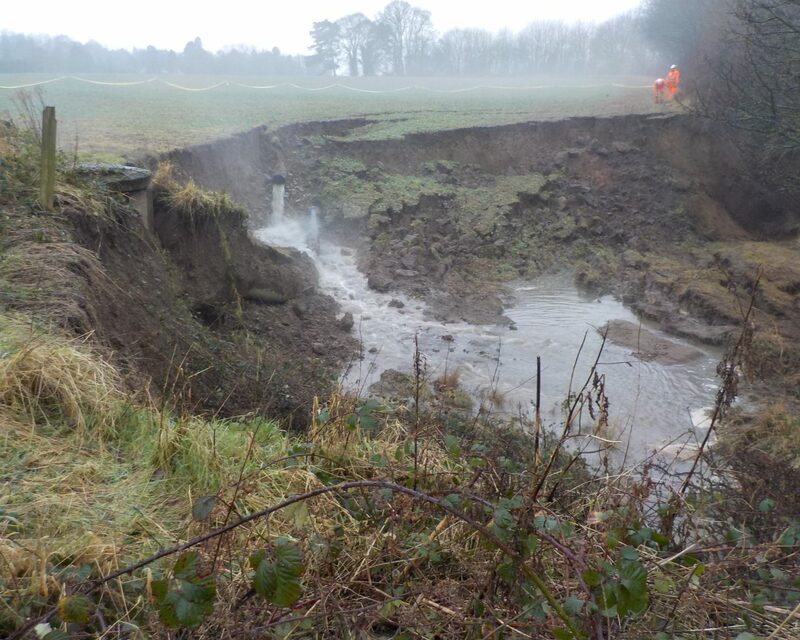 As the slope was still moving, an exclusion zone was formed around the toe, crest and body of the slip. 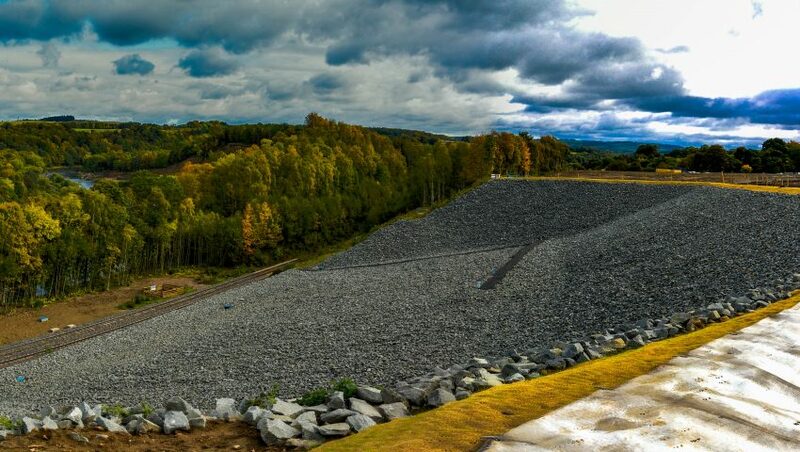 Unmanned Aerial Vehicle (UAV), from which a 3D topographical model was derived and used by AECOM in the analysis of the failure. 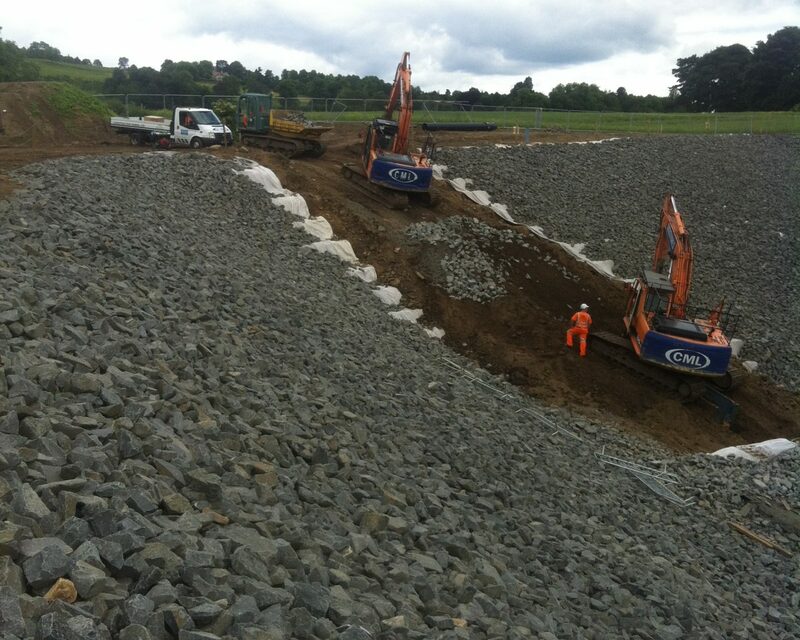 Initial remedial works involved diverting the ditch discharging water onto the slope to an alternative discharge point further along the crest and ensuring that the pumped sewer was diverted. 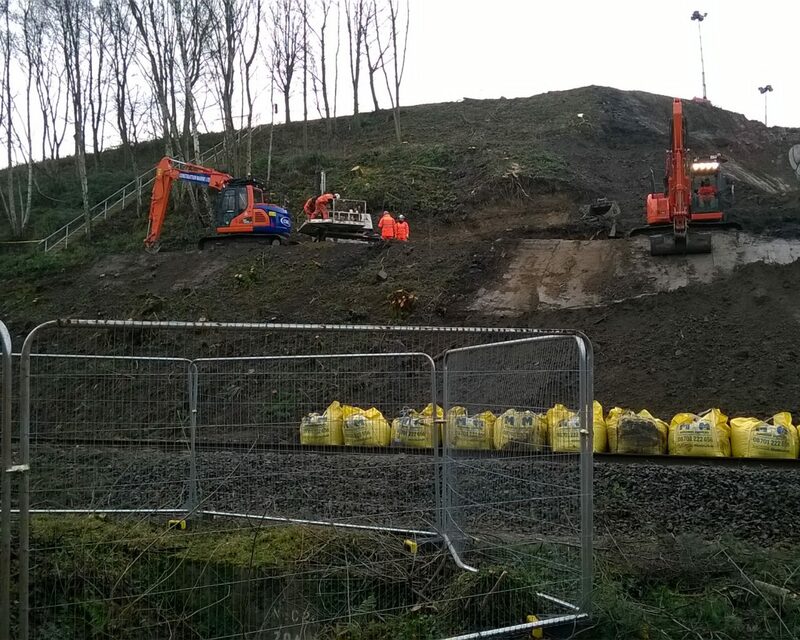 Following the diversion of the crest ditch, work commenced on removing the fallen trees from the slope and track before removal of the failed material itself. 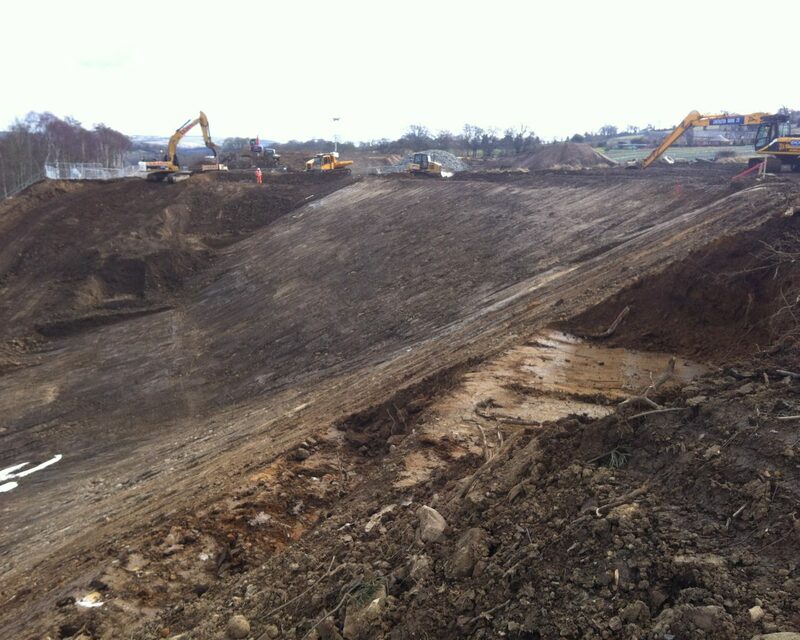 Removal of the failed mass was undertaken from the crest down. 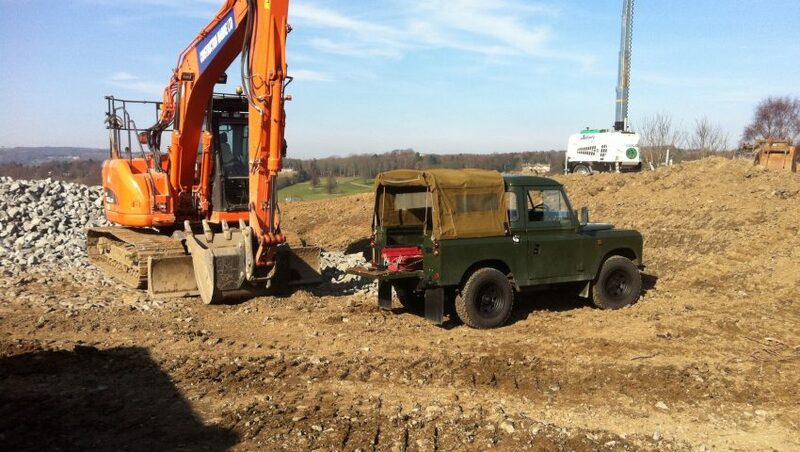 Archaeologists. 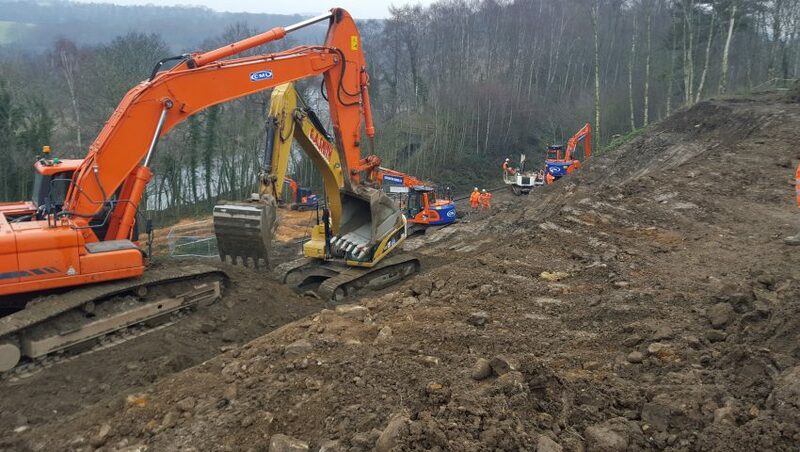 This helped us progress speedily into the crest of the cutting with earth moving machinery to advance remedial works without disturbing the known historic monuments. 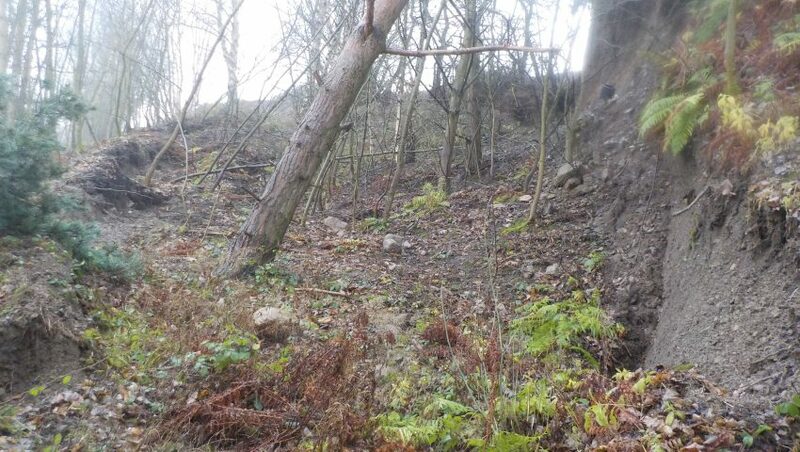 The survey work undertaken helped contribute to Historic England’s records of the protected site. 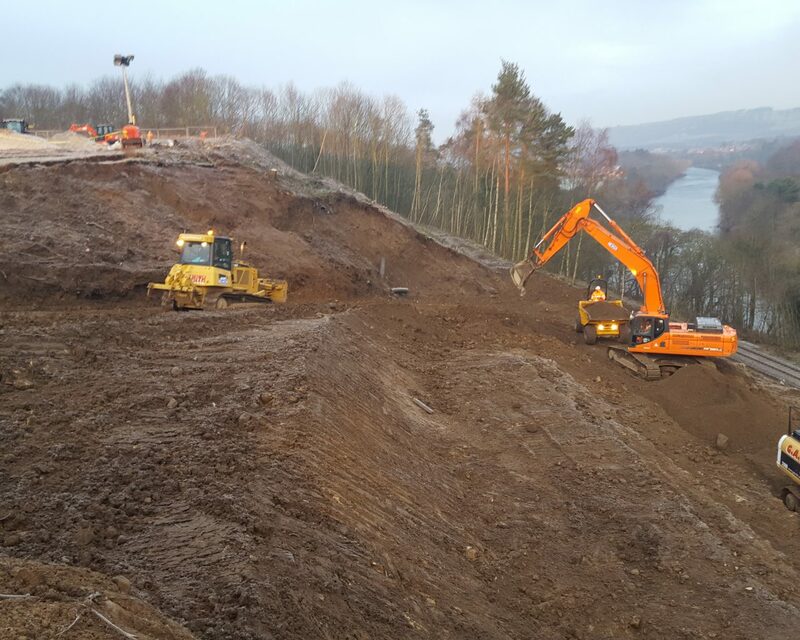 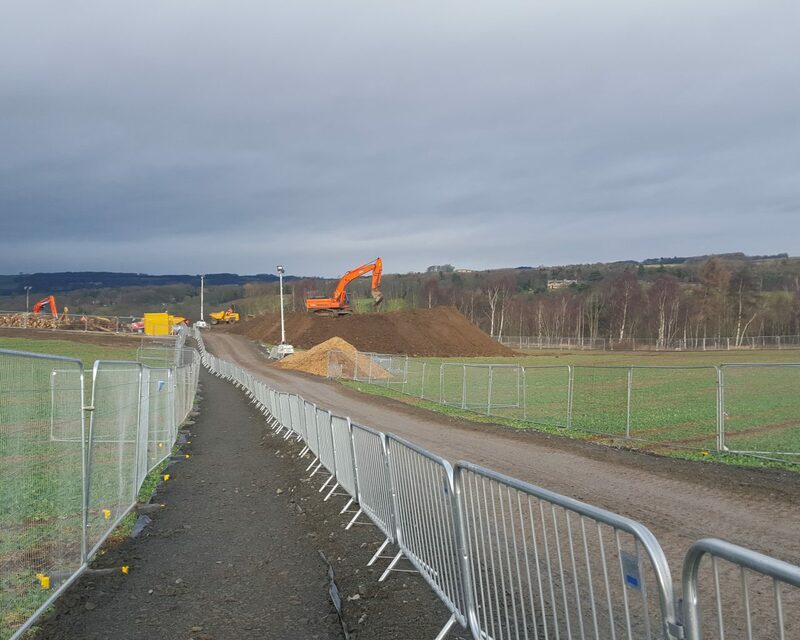 From the initial assessment of the causes of the failure, site constraints and possible solutions, we were able to start work re-profiling the slope, combined with a new deep drainage system. 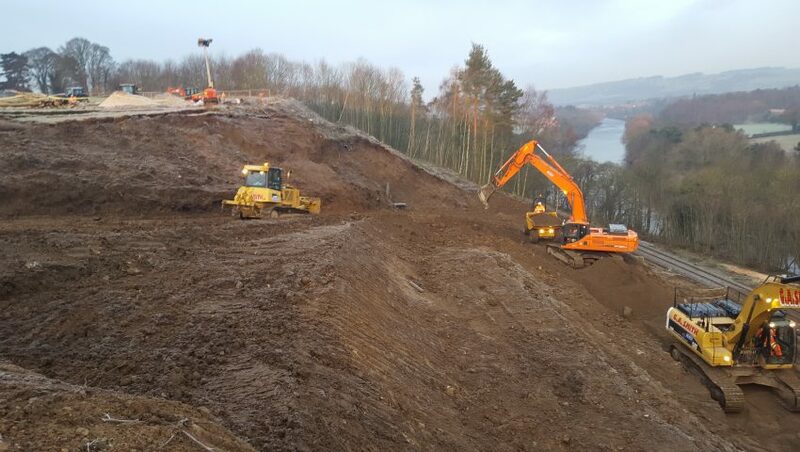 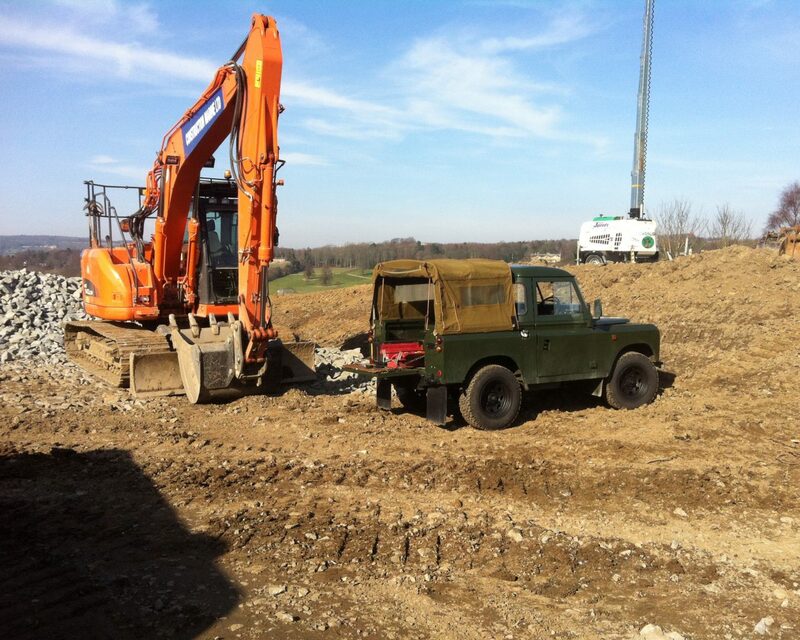 The size and steepness of the slope posed a serious challenge for the earthmoving fleet. 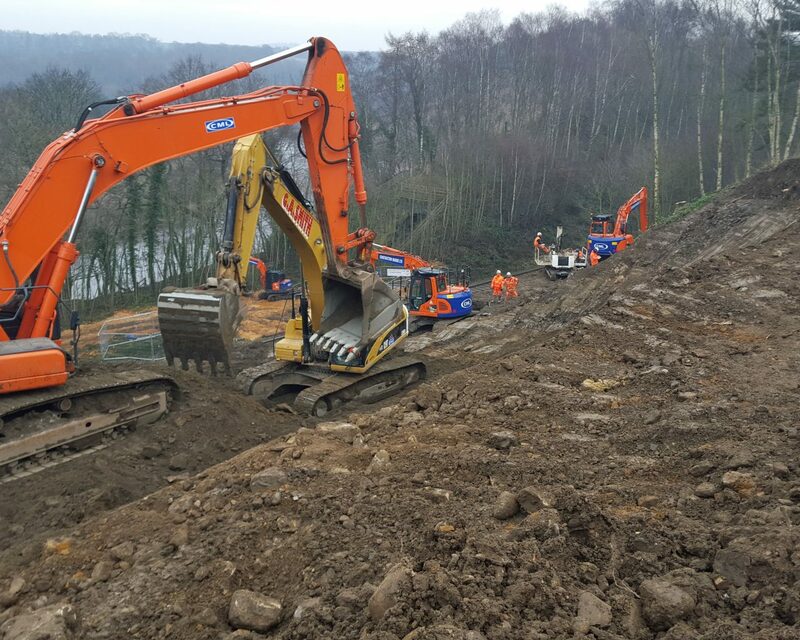 The challenge was to safely remove 35,000 cubic metres of debris from the cutting slope, minimising disruption to the adjacent stable slopes, and using methods which would be quick enough to ensure we could re-open the railway as quickly and safely as possible. 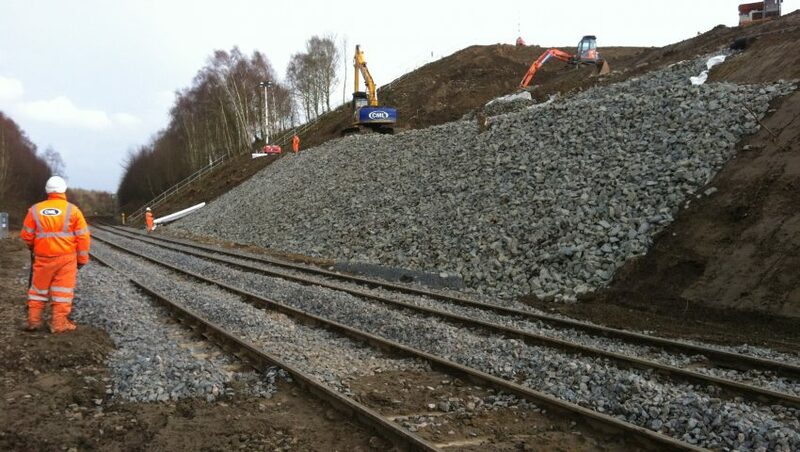 We achieved this by removing the debris simultaneously from the top of the cutting, by multiple handling and using a series of benched access roads, and from the base of the cutting by waggons and freight trains. 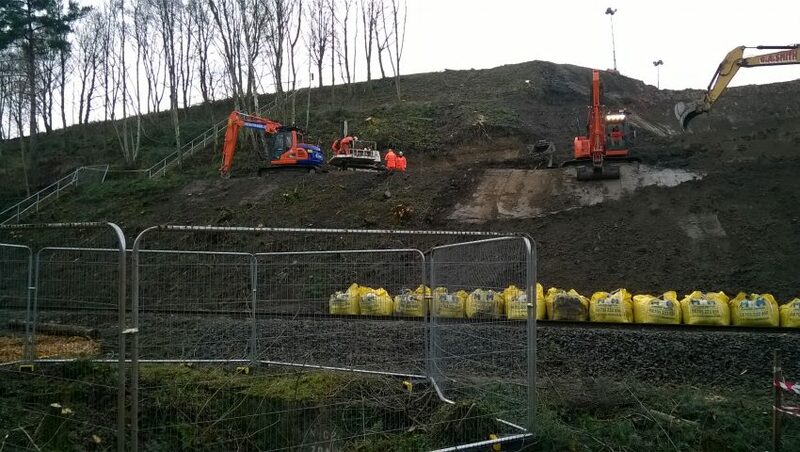 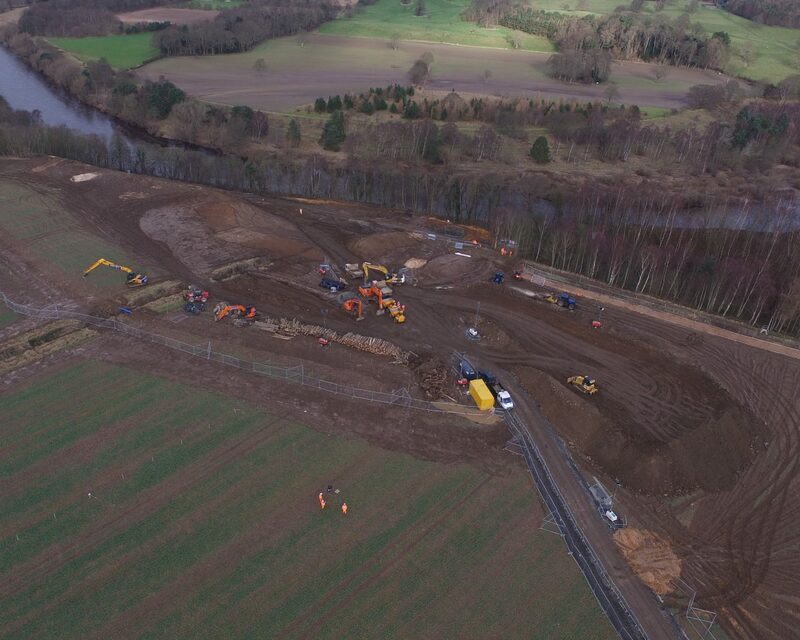 As the reduce dig works progressed, there were significant ground water flows emerging through sand and gravel layers in the cutting slopes which continued to de-stabilise the lower slopes and which made loading away by train difficult with slurry and debris continuing to foul the railway. 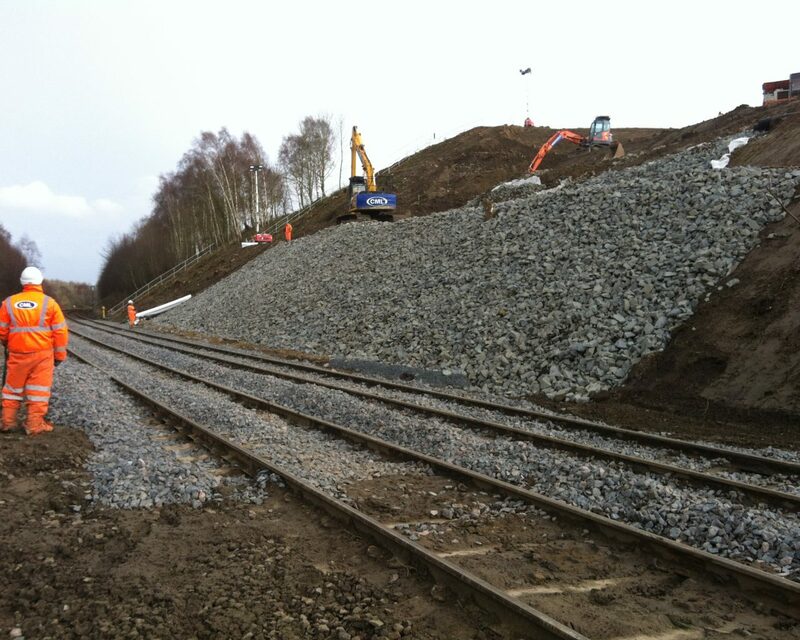 Therefore the majority of the material was removed via the crest of the cutting with tracked earth moving machinery. 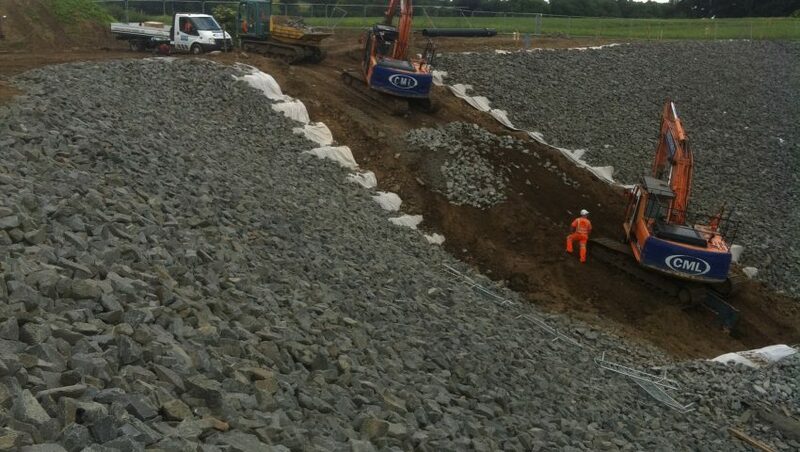 The future stability of the slope was ensured by the excavation of the failed material and construction of a stable slope profile in virgin ground. 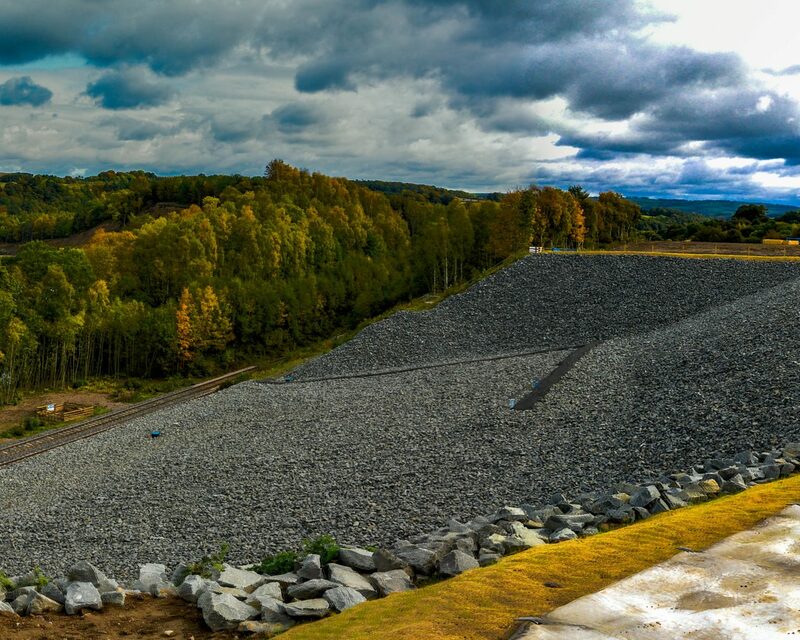 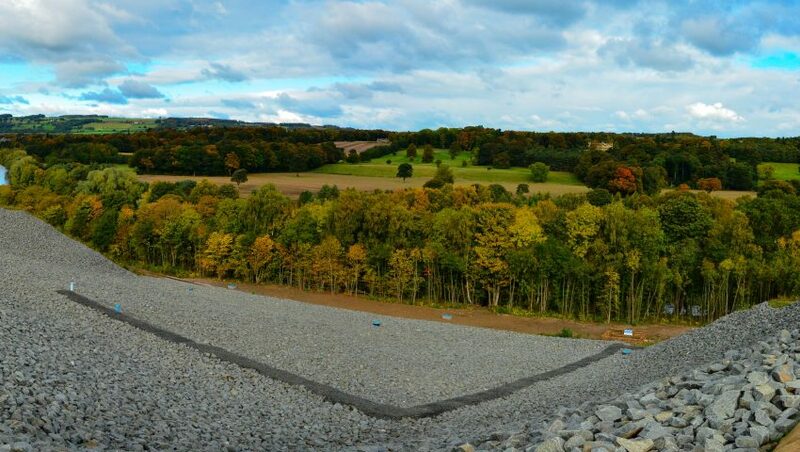 The potential stability risks arising from both surface water runoff and groundwater within the more permeable layers daylighting in the slope were addressed in the final design with a surface dressing of stone over the whole slope. 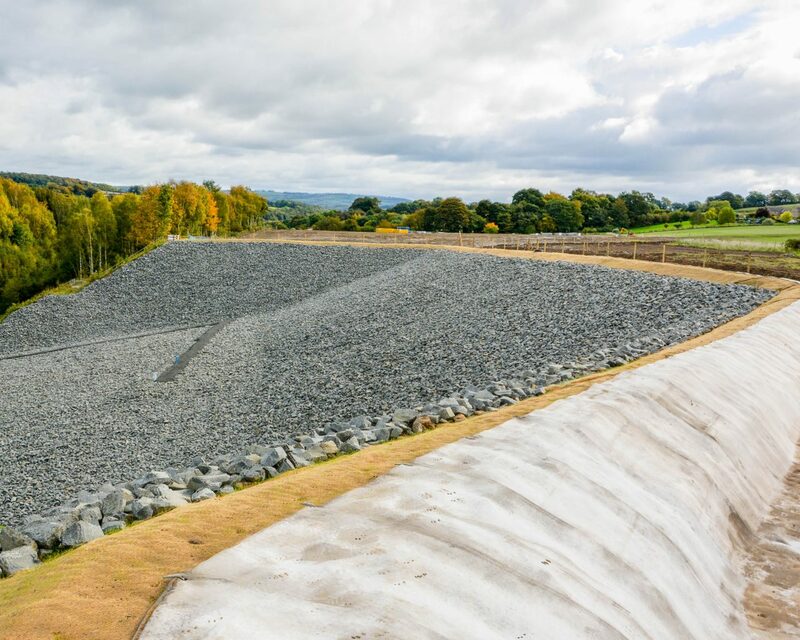 The ditch at the crest was cleared, re-profiled and lined with concrete canvas to reduce the risk of future water ingress into the cutting. 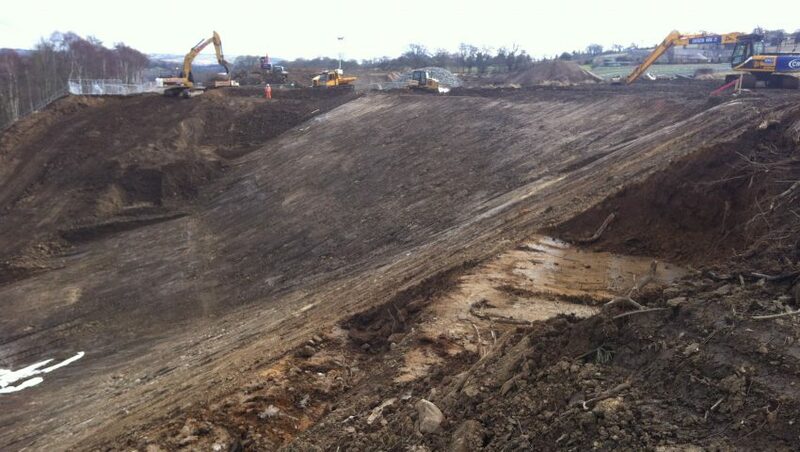 A small bund was also built to stop water overflowing the cutting crest during extremes of rainfall. 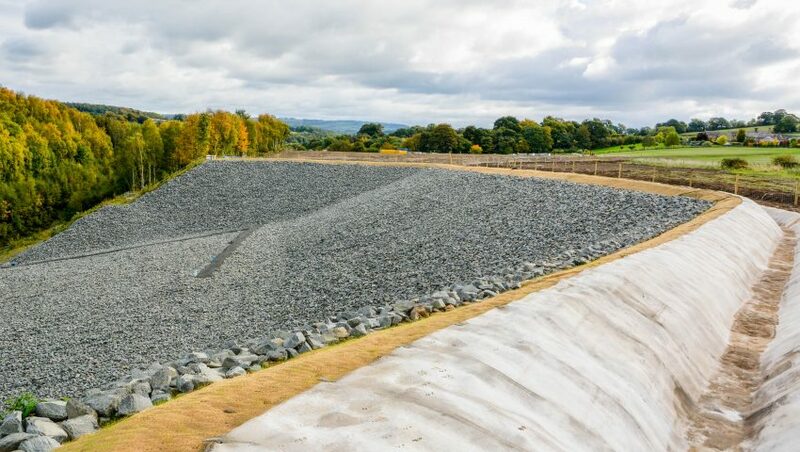 The headwall at the top of the slope was replaced and the size of the pipe down the cutting slope was increased, sufficient to cope with the anticipated volumes of water coming from the land above. 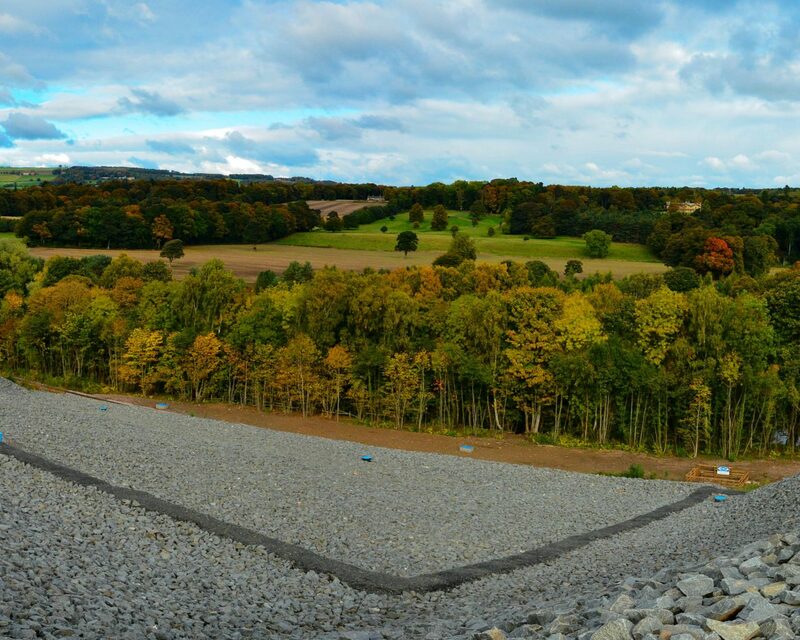 piezometers were installed in the slope, which are being monitored monthly to confirm the slope’s continued stability. 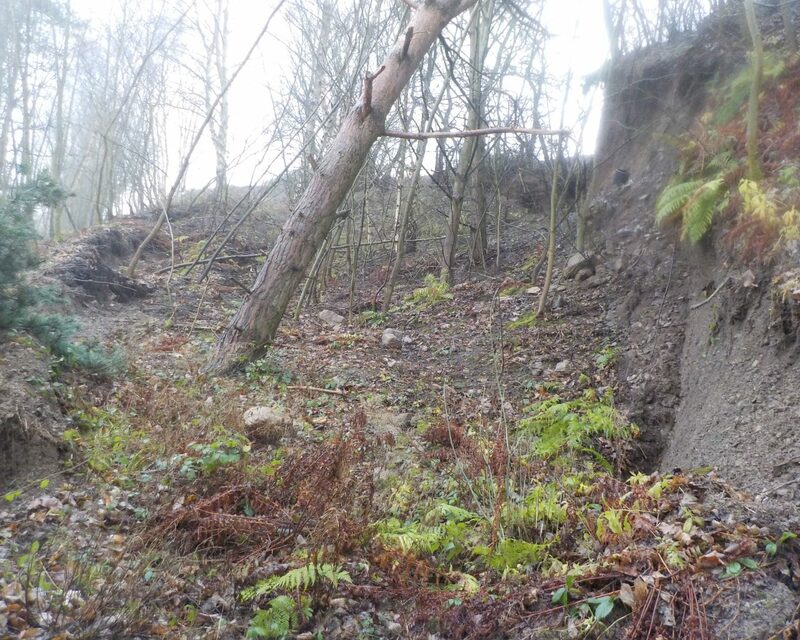 This was a complicated landslip to fully understand and remediate due to the ground conditions and the unprecedented groundwater levels and resultant seepages, further complicated with the presence of the Roman Fort and the damaged sewer. 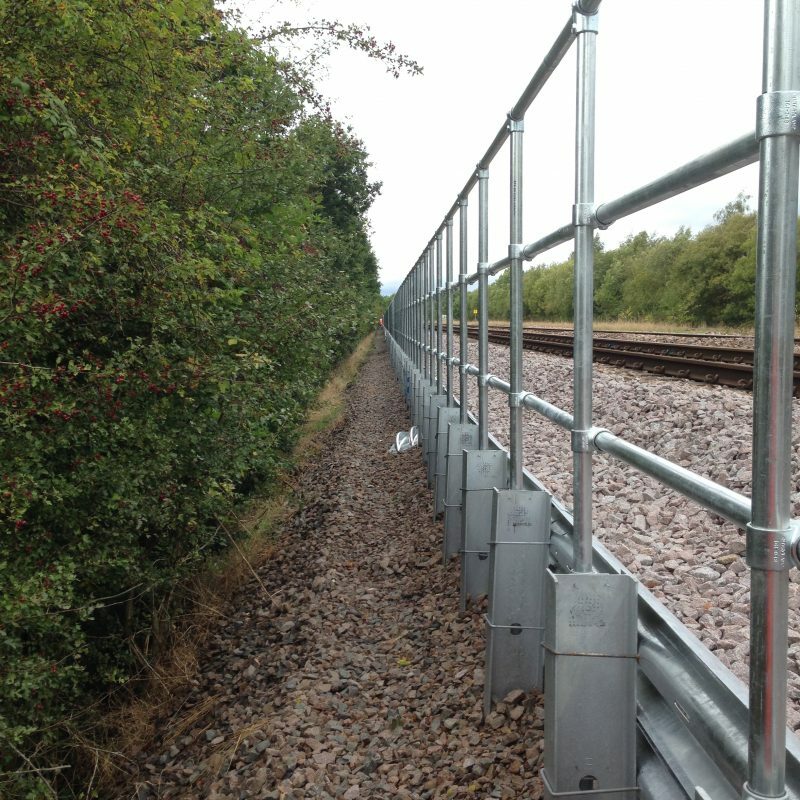 With close collaboration between all parties, the Client, Network Rail, the Contractor, CML and the Designer, Aecom, a swift and safe operation was undertaken with the most efficient and effective solution adopted. 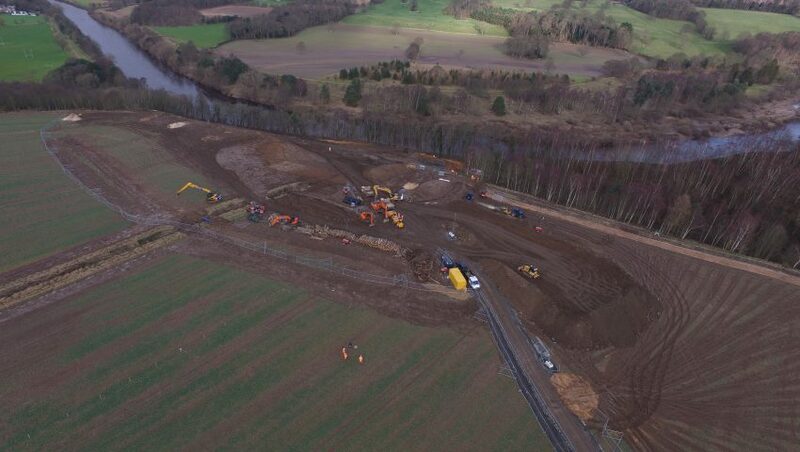 This project has provided some excellent examples of collaboration, working with Northumbrian Water to divert the sewer, Historic England to protect the Roman Fort, Multiple landowners to provide access, National Media (BBC, ITV, MP’s), various departments of Network Rail to organise train movements and track renewals works, and of course the local residents who took a great interest in the project. 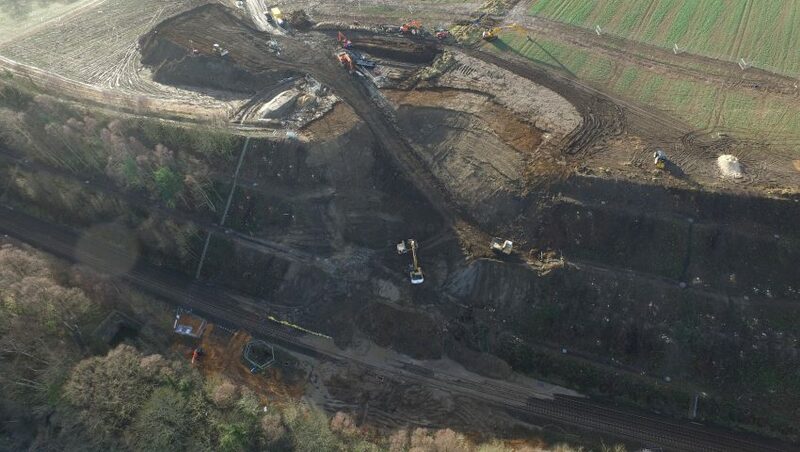 The excavation generated over 35,000 cubic metres of inert spoil. 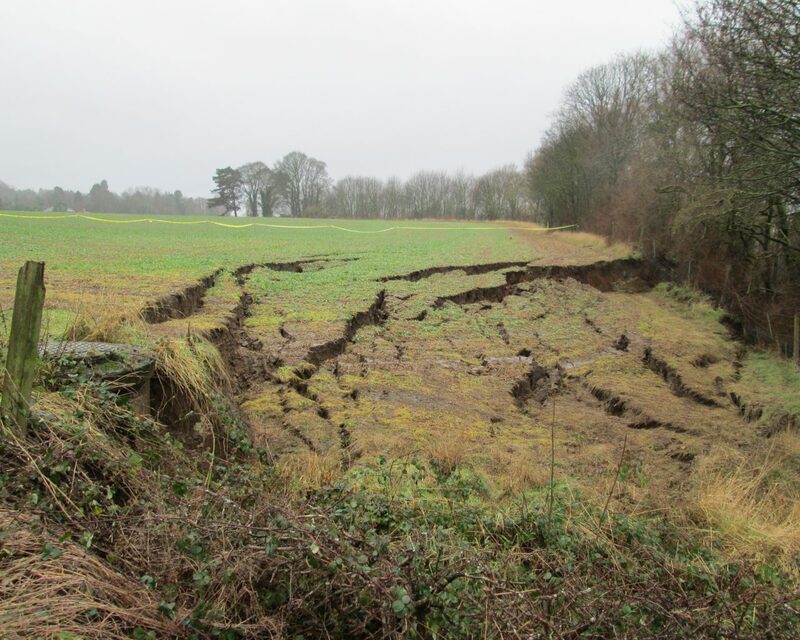 Cooperating with the local landowners and the Environment Agency, we agreed to place and landscape the spoil in a safe area in the surrounding fields. 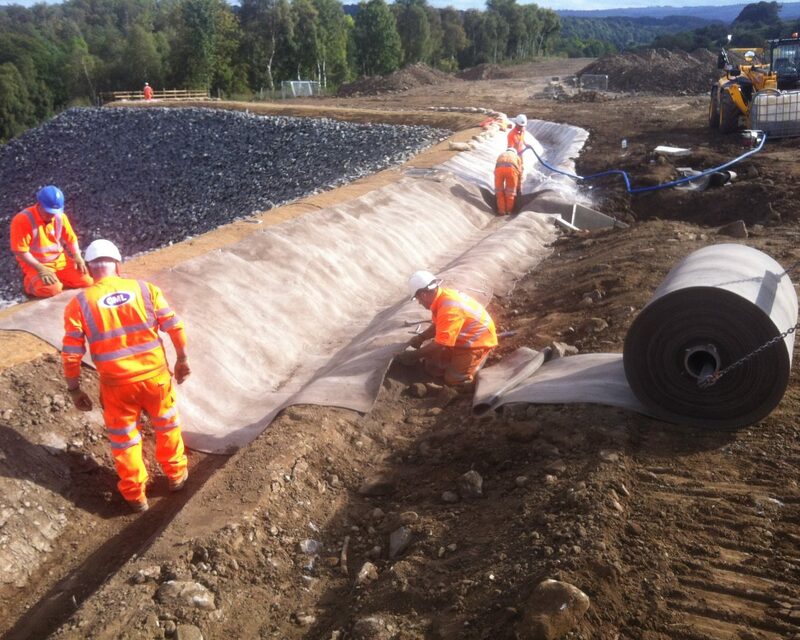 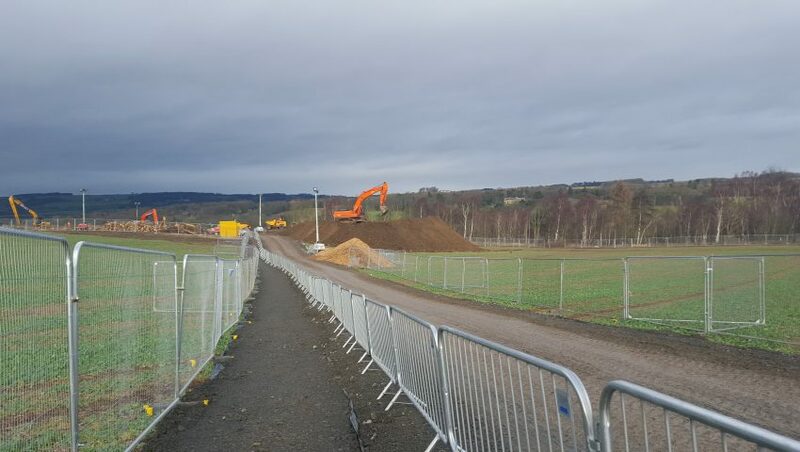 This diverted a significant volume of material from landfill, and drastically reduced the number of road vehicle movements further reducing the carbon footprint of the scheme. 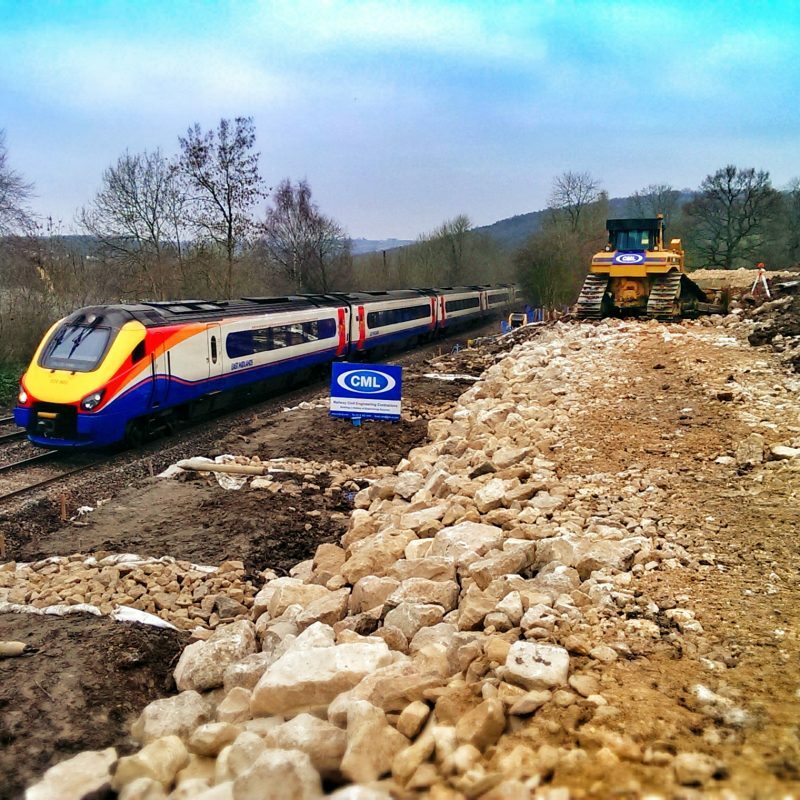 The landscaping works at the crest also provided the opportunity to improve the drainage arrangement, and further divert surface water flows from the crest of the cutting to provide greater protection to the railway from future flooding events.